This set of tough and fun to use hand-on science equipment allows elementary students to clearly see how light bends (refraction) and bounces (reflection) with no mess and no frustration. Conduct dozens of light science experiments and light science demonstrations with the Elementary Reflection and Refraction kit. Collect and analyze data, make observations and draw conclusions while students explore and experiment with the fundamentals of Light! This robust and flexible hands-on light science kit clearly and simply teaches about how light bends (refraction) and how light bounces (reflection). 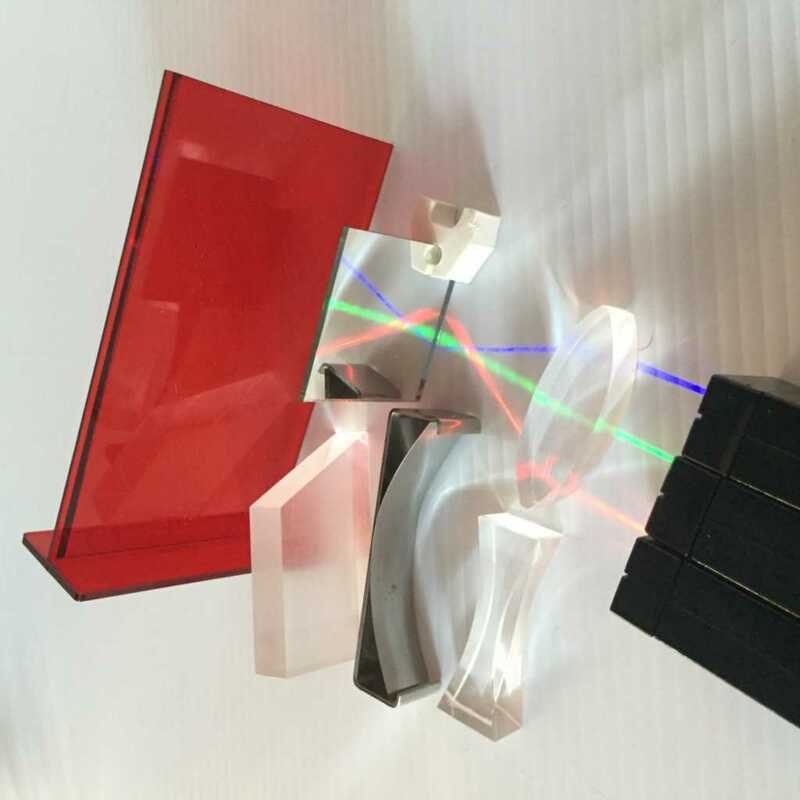 Ordering information: Light Science - Elementary Reflection and Refraction Kit includes set of 3 Light Blox LED's: Red, Green and Blue; Set of 3 Acrylic Lenses: bi-convex, bi-concave and trapezoid; Protractor; Mirror with stand; and 6 AA batteries. Classroom Kit includes 8 Sets of 3 Light Blox LED's: Red, Green and Blue (with batteries included); 8 Sets of 3 Acrylic Lenses: bi-convex, bi-concave and trapezoid; 8 Reflect Views; 8 Flat Mirrors with stands; Protractor; 8 Flat mirrors with stands.